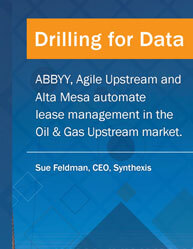 The Oil and Gas industry needs successful lease management processes to streamline the data pipeline: From entering the data into a land system to analysis, alerting, and decision-making. Land lease management processes depend today on stove-piped applications in which the same data is entered multiple times, sapping productivity and leading to errors and inconsistencies. 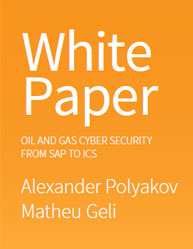 Learn how Oil and Gas clients address their most critical lease management challenges to ensure secure and efficient operations. How can you support property acquisition and divestiture in the oil and gas industry? What the technology needs to understand in order to meet the requirements for land lease management? How can the data entry error rate be reduced by automating lease management? 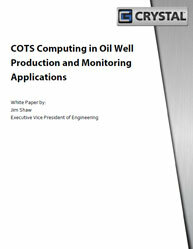 Download this informative whitepaper to learn how to analyze and codify the processes that are germane to land lease management in oil and gas industry. Predictive Analytics: The Power to Predict A comprehensive equipment maintenance program should include a mix of predictive, reactive, preventative, and condition-based measures. But in the age of big data and analytics, predictive maintenance should be leading the way. Is your enterprise focusing on right key components of a comprehensive predictive analytics and equipment maintenance program? This whitepaper on “The Power of Predictive Analytics” describes in brief about the below topics: The (unfortunate) predominance of reactive maintenance Components of a comprehensive equipment maintenance program: Elements of different approaches The power of predictive maintenance software: Predictive analytics techniques Advantages and disadvantages of Condition Based Maintenance (CBM) In order to truly monitor the overall health and performance of critical enterprise assets in real time, predictive analytics must be at the heart of any comprehensive equipment maintenance program.